GOAL BLUE is for the boys who play soccer, unless your girls have blue jerseys. You’ve got your soccer balls, flags, cones, and net. 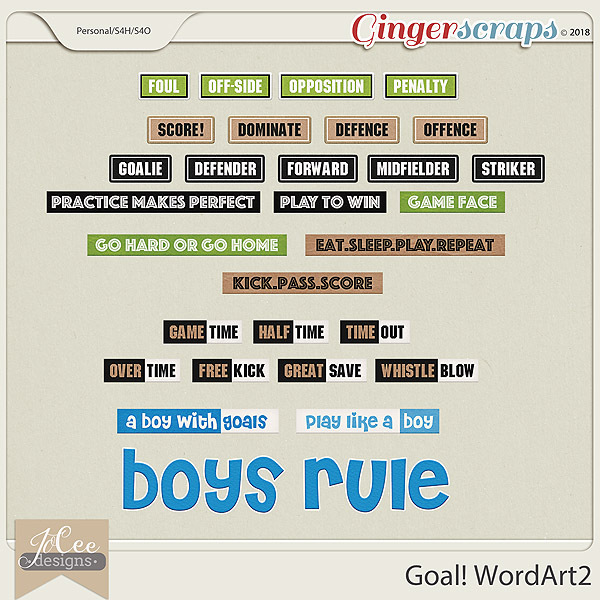 Also included are words that either relate to or are important to a soccer player or mom/dad!